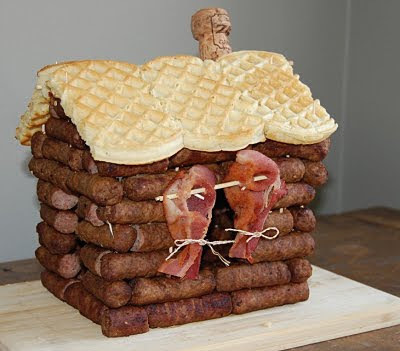 A log cabin made of sausage? Those pioneers of the wild west, was there nothing they couldn't do? Wait, waffles for a roof? I think grilled cheese sandwiches would have worked much better. Speaking of sausage, I just read that Jimmy Dean died yesterday.